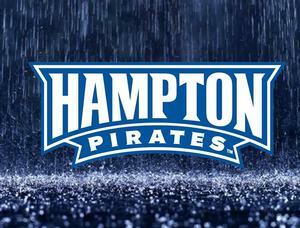 HAMPTON, Va. (Sept. 11, 2018) – Due to the impending impact of Hurricane Florence, all Hampton University athletic events have been postponed through Tuesday. Any updates to makeup games will be posted on Hamptonpirates.com along with all social media platforms. Sailing at Laser Singlehanded Qualifier #2, Annapolis, Md. Cross Country at UMES Cappy Anderson Invitational, Princess Anne, Md. Men's/Women's Golf in Hampton Invitational, Suffolk, Va.